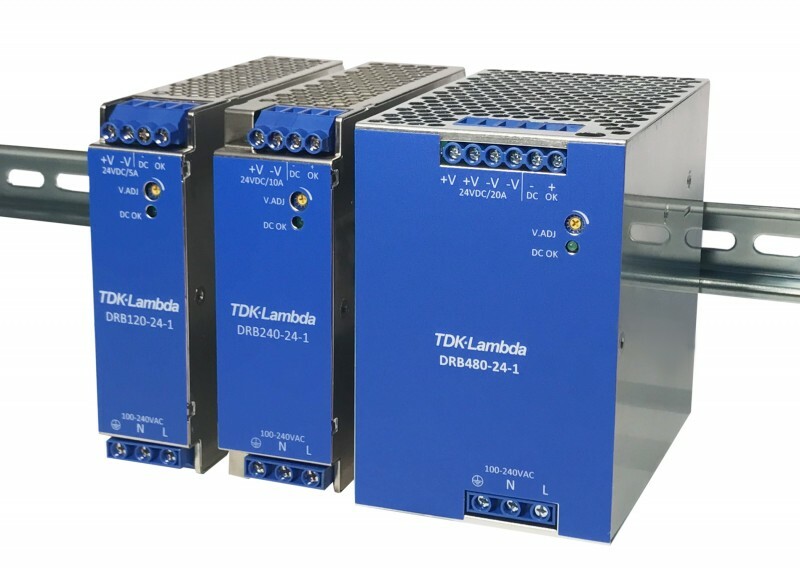 TDK has announced the introduction of 120 W and 240 W rated models to the DRB series of AC-DC DIN rail mount power supplies. Their narrow width allows additional devices to be installed on the rail, saving cabinet space. The high 93% efficiency produces less internal waste heat enabling electrolytic capacitors to run cooler, extending field operating life to greater than 7 years at 75% load, 230Vac input. Applications include industrial process control, factory automation, semiconductor fabrication and test and measurement equipment. Rated for continuous operation at 120 W and 240 W, the DRBs can deliver a +20% peak load for up to 10 seconds. The power supplies are currently available with a 24V output, adjustable from 24 V to 28 V, and can accept an 85 to 264 Vac input withstanding surges of up to 300 Vac for 5 seconds. The operating ambient temperature is -25oC to +70oC, -40oC cold start, derating linearly above 55oC to 50% load at 70oC. In addition to a front panel LED, an isolated DC OK opto-coupled signal is provided to show the output status either locally or remotely. The DRB120 and DRB240 have a rugged metal enclosure measuring 124 mm in height, 125 mm deep and narrow widths of 35 mm and 41 mm respectively. Input to output isolation is 3,000 Vac, input to ground 1500 Vac and the output to ground is 500Vac. Both models are certified to the safety standards of IEC/UL/CSA/EN 60950-1, IEC/UL/CSA/EN 62368-1, UL508, IEC/EN 62477-1 (OVC III) and are CE marked in accordance to the Low Voltage, EMC and RoHS Directives. The DRBs are compliant to EN55011-B, EN55032-B, CISPR11-B, CISPR22-B, EN61204-3 (Class A) radiated and conducted emissions, EN 61000-3-2 harmonics, IEC 61000-4 immunity and SEMI F47 line dip standards. 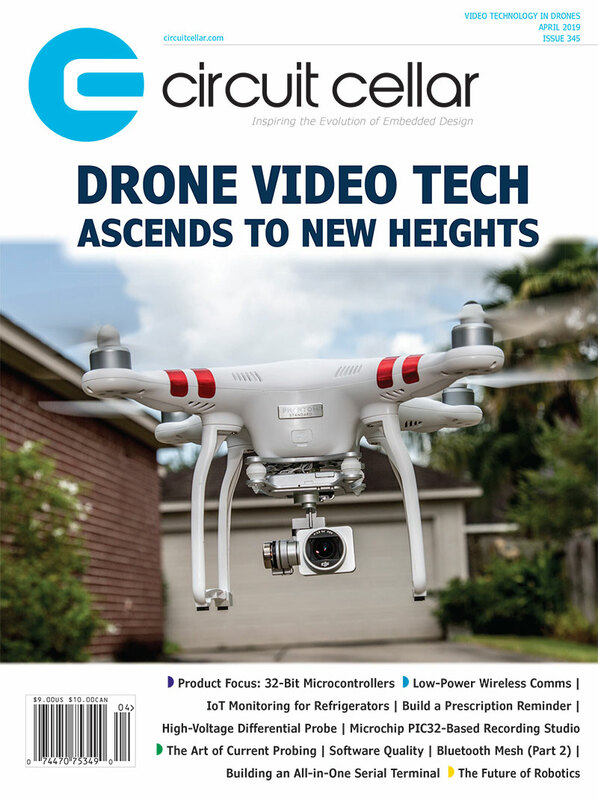 This entry was posted in CC Blog, Industry & Enterprise, Product News and tagged factory automation, industrial process control, power supplies, semiconductor fabrication, test and measurement by Circuit Cellar Staff.